Pet Snake | Pi'ikea St. There are a ton of kids out there who would love to have a pet snake. 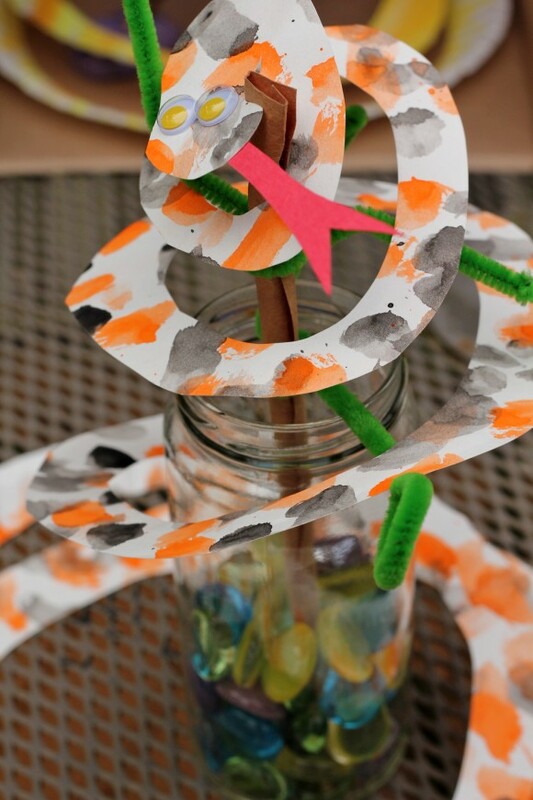 But if you’re a parent, like me, who can’t fathom the thought of having any kind of reptile living in your home then you’re sure to love this craft. 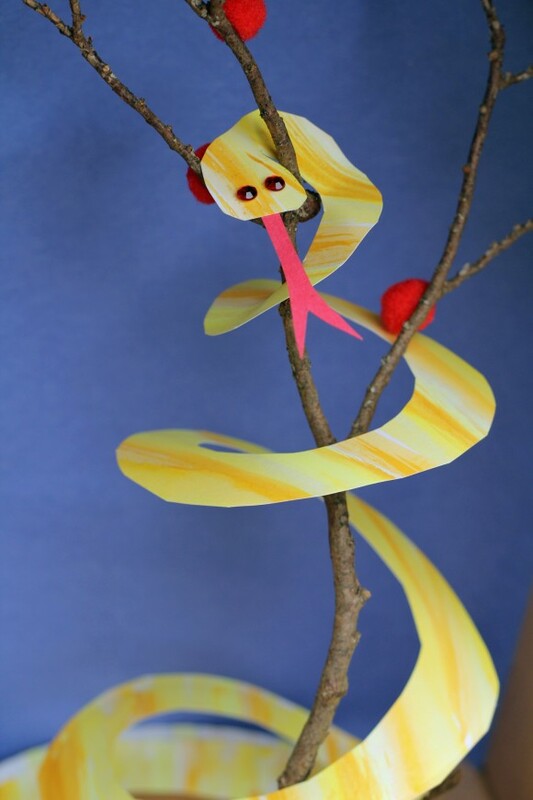 It’s easy for kids to put together and maybe, temporarily, fulfill your child’s fantasy of owning a snake. Paint a unique pattern on top of your plate and allow to dry. You can paint the bottom of the plate too if you like. 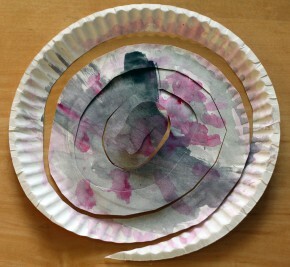 Once dry, starting from the outer rim of the plate, draw a spiral. Make sure when you get to the center, your last circle should resemble your snake’s head. Cut the spiral out. Glue eyes to the snake’s head. 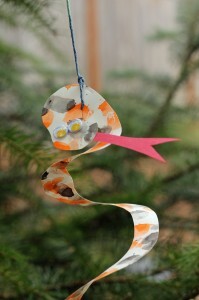 Cut out a tongue shape from red construction paper and glue it to the bottom of the snake’s head. Allow to dry. This step is optional. Cut the flaps off of a box. 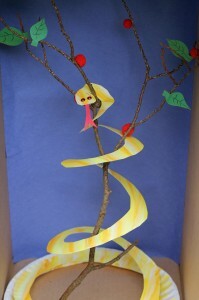 Set up your snake’s habitat by lining it with construction paper. Set a stick up in the box. If it doesn’t stand on its own, use some putty or dough at the bottom of the box to keep the stick in place. Now your snake has a home. If you plan to take your snake out for a walk, be sure to tie a leash (or string) around its neck. You won’t need to worry about bathing or feeding your snake but just be sure to give it lots of attention. Bird & Cage | Pi'ikea St.